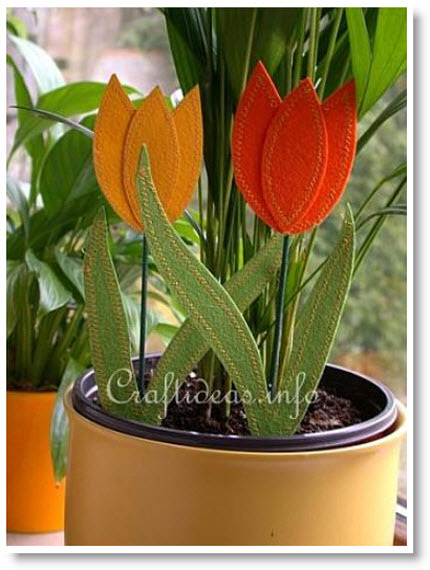 Try these easy “Felt Tulips Plant Pokes” and add them your plants or is a vase alone. Add a splash of color to your green plants in the spring by creating these quick and easy felt tulip plant pokes. Kids can craft these as well. Strong craft glue can be used to replace the hot glue or stitching to keep the project safe for the kids. This project comes from “Craft Ideas” with an enlargeable pattern.